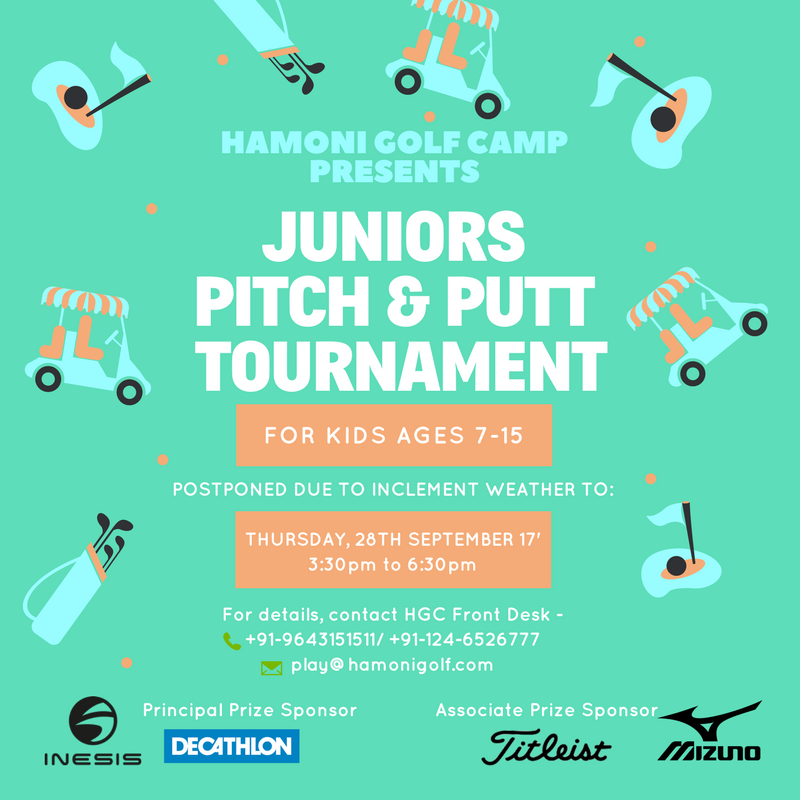 HGC Presents its inaugural Juniors Pitch & Putt Tournament! Pitch & Putt Course Guidelines & Local Rules are as indicated on our Scorecard; download a copy HERE. Minimum age of Players must be 7 and maximum age must be 15, as on tournament date, to be eligible for participation. Only 1 Parent/ Guardian may accompany each Player. No Caddies are permitted to accompany the Players. Players will be categorised by Age Groups (Mixed Girls/ Boys Groups); winner will be chosen for each Age Group category. No handicap shall be applicable, all scores will be considered on actual scoring; lowest score in each Age Category will be considered the winners. In case of tied scores, a sudden death hole or chip/ putt/ closest to hole challenge will decide the winner. Players must report to the starting tee 15 mins before their schedule tee off time, failing to do so may lead to disqualification. No refund shall be applicable after payment of Registration Fees, in case of bad weather, HGC Management shall decide the future course of action. All Rules & Regulations are subject to the sole discretion and final authority of HGC Management only. Good Luck to all the Players! See you on the Course!